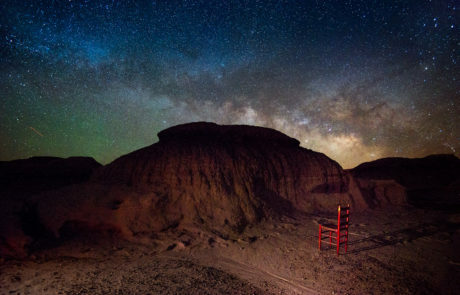 With dramatic improvements in digital camera technology over the last decade, astrophotography and the ability to capture light from the Milky Way has also exploded. It took me a little longer to hop on the bandwagon but now that I’m on, I’m here for the long haul. I would still consider myself a beginner to all of this. And that’s ok. I honestly don’t even own the ideal lens (a wide angle with an aperture of 2.8 or lower). So I’ve made do with the equipment I have with an eye toward expanding my lens collection if Santa is willing. YOU HEAR THAT SANTA? I imagine Santa up at the North Pole cursing his sketchy internet connection because he’s…you know…at the North Pole. What I like most about astrophotography is the amount of preparation involved to do it properly and the ambiance of the night sky when you’re actually shooting it. Even in areas where astrophotography is popular because of the darkness of the night sky, you’re nearly always on your own in a vacuum of light except for that provided by the stars above. There is a quiet and palpable sense of magnitude looking up at light that started its journey toward Earth millennia before you were born. The term “humbled” is tossed around erroneously all the time but this is one instance where you are truly humbled. 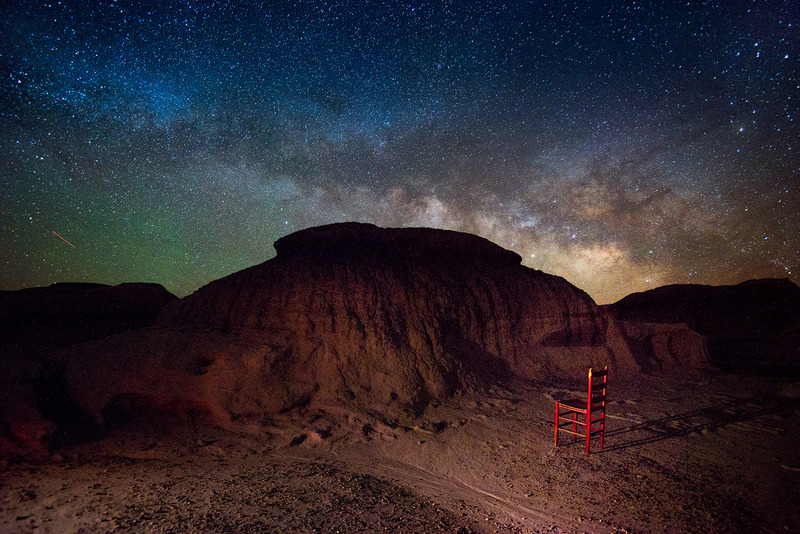 Gazing at the enormity of the Milky Way truly puts your place in the universe in crystal clear perspective. In many ways, it’s liberating. It forces you to live in the now – to focus on what is important to you rather than the minutia of daily stresses that don’t really matter. Astrophotography also requires you to shoot from areas far from major population areas because the light pollution from cities make Milky Way visibility nearly impossible. 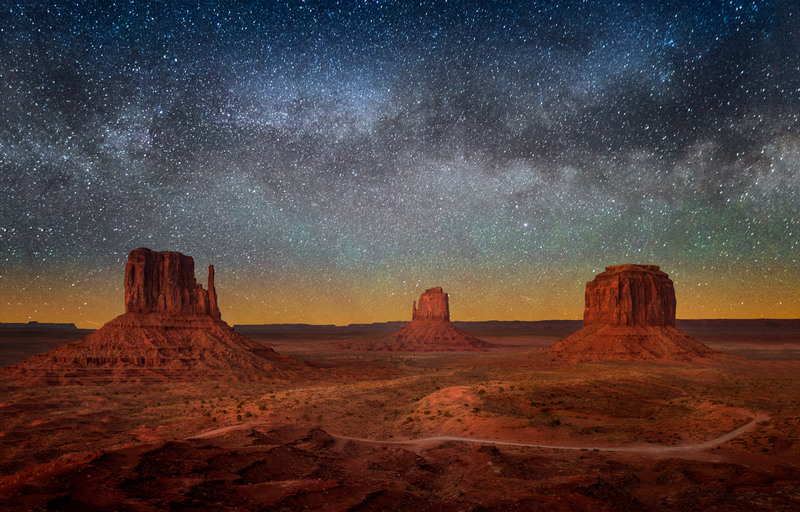 The photograph above is from Monument Valley in northern Arizona. 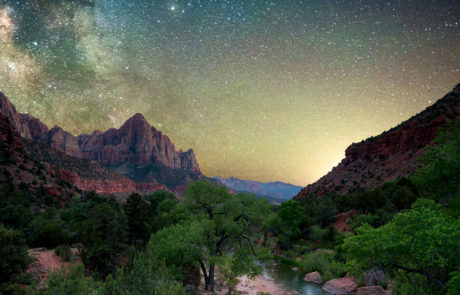 Other national parks – Bryce Canyon and Arches in particular – are excellent vantage points for the night sky. An important variable you also have to take into consideration is the moon. The moon’s illumination of the sky is an impediment to astrophotography as well so planning for nights with a new moon or times during a crescent moon after it has set below the horizon are essential with any shoot. Did I mention flashlights, headlamps and LED lights for foreground illumination? Yep, you’re going to need all of that. Especially the flashlights and headlamps so you don’t walk off a cliff (kinda important). The bottom line is that shooting the stars above isn’t for those who like the spontaneity of photography. It requires planning, research, patience, warm clothes, and most importantly an open-minded imagination for your composition. The work almost always pays off for the experience alone even if the photograph doesn’t turn out perfect. For example, while I like the photograph at the top of the page, the exposure was 30 seconds when it likely merited a 25-second one. The results was an ever-so-slight bit of star trailing because of the Earth’s rotation (one more thing to plan for, right?). I’ll definitely be making astrophotography a more prominent part of my portfolio in the future and I’m excited for my next adventure in the dark…in the night. 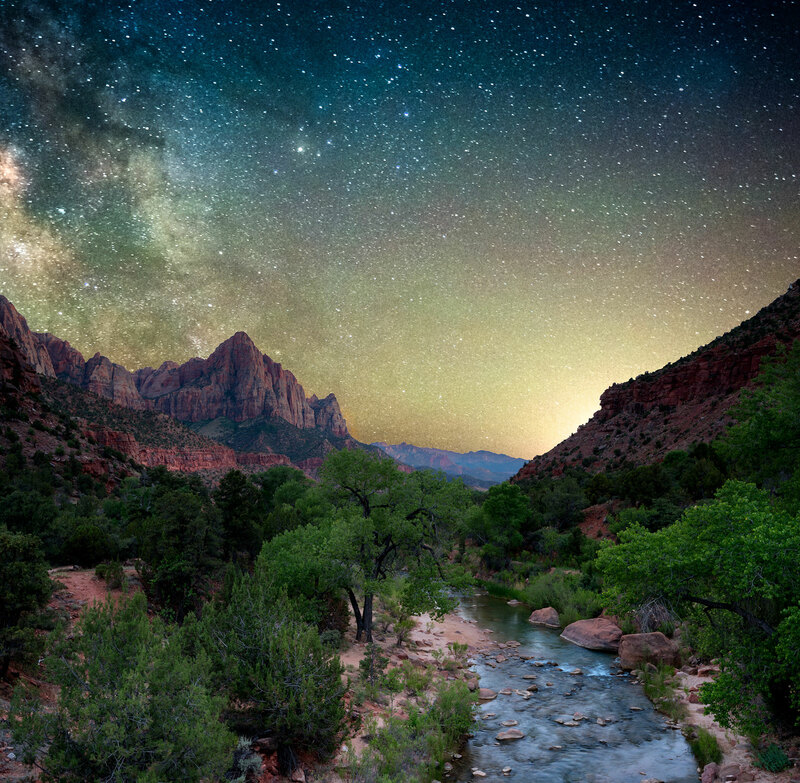 One last thing – a great resource for astrophotography and where I learned a lot of what I know now is from a photographer named Royce Bair. You can visit his site here.